It's been a while since I've done a reflective, personal post . . .but this morning, when I pulled out my journal to do my daily writing, the words just flowed . . .and I felt a move to share them with you. So here we go . . . This is 50 . . .so many ideas swirling around about this number, this season, this time in my life. It seems both profound and yet just another day, all at the same time. Baby steps forward, always improving upon what I know and what I've learned. More comfortable in my own skin, yet the skin feels and fits differently. It looks different. No judgement - I'll be 50 soon, I've learned to try and leave judgement behind - it serves no positive purpose. 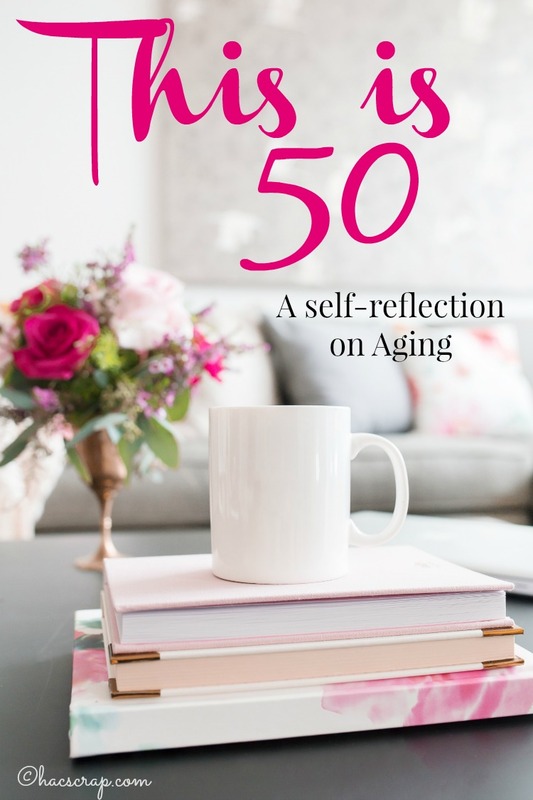 50 seems the "right" time for life and light - to cast off shadows (they're hell on wrinkles anyway) - to shine. I've experienced many things: good, bad and so very ugly. The world has changed so much in just 50 short years, yet it still works in many of the same ways. Love keeps us going - keeps us grounded. In so many ways this feels like a beginning for me . . .the start of something new. 50 is such a big number . . .I remember a time when I thought 50 wasn't a beginning, but an end . . .50 was "old". Now, I'm not sure what "old" even is, maybe 80 . . .maybe 85. So here I am at 50 . . .a wife, mother, daughter, sister, friend . . .woman. On the brink of my next big adventure. That was beautiful, Hillary. Thank you for sharing it with us. Informative post. Your skin is going to be there for life. So you might as well take the time to get to know it. Every single skincare aliment has some product on the market but generally identifying your skin type will help point you in the right direction. This way you know the type of products that are designed for your skin type and what ingredients or product types work best for you.